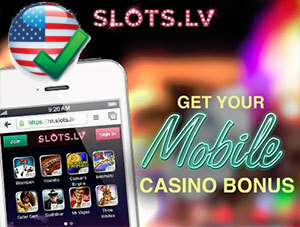 Slots.lv is an American based casino that at this moment is one of the few online casinos that still accepts players from the USA. One of the few reliable and trustworthy casinos that is. 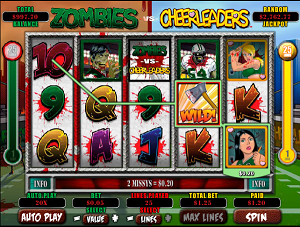 Though the name might imply that it’s all slots and nothing else, Slots.lv offers most other casino games too, like Blackjack, Craps, Baccarat, Roulette and video Poker. 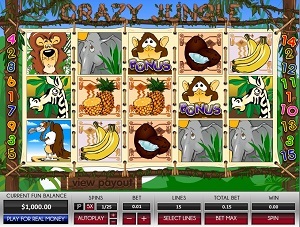 Most games are available in multiple versions, such as European and American Roulette, Loose Deuces and Jacks or Better (poker versions). 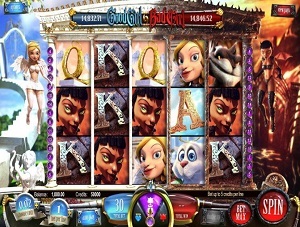 The .lv in Slots.lv stand for Las Vegas (LV is the Las Vegas domain extention) and they’ve added it for a reason, because most slotmachine games are true Vegas style slots. Their collection is quite huge actually, with slots like Zombies versus Cheerleaders, Greedy Goblins, Dragons, Cleopatra’s Gold, Aztec’s Treasure, Good Girl Bad Girl and Sugar Pop! And lots more of course. Instant Play is available, you do not need to download any software if you don’t want to, however the Software Download version is a bit faster, and offers more games. New players can receive up to $5.000 for free as a welcome bonus, by tripling your first two deposits and then double your next six. That’s quite a lot of money really, even for an online casino. The mobile app is very good indeed: fast to download, and most games play really fast with almost no delay, even with moderate Wifi connections. It’s available for all platforms, so it doesn’t matter if you own a Blackberry, iPhone, or a smartphone with Android or Windows software. All in all, the Slots.lv app is one of the best real money casino apps for players from the USA (who usually have a hard time finding a casino that let’s them play for real). So here it is people: this app let’s you play casino games for real cash prizes, on your Phone or tablet.